Is there a better alternative to Places2Note? Is Places2Note really the best app in Travel category? 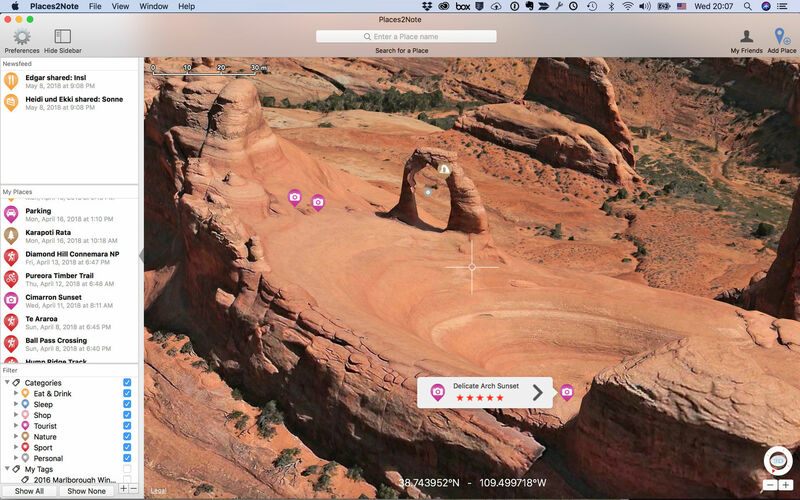 Will Places2Note work good on macOS 10.13.4? Places2Note helps your remember your favorite places. Whenever you come across those special places you want to remember forever, just place a pin on Places2Note, add comments, rating, pictures, voice message or video. Capture a place once, and it’s instantly available on all your devices. Never worry about where you saved something because it’s in Place2Note, and Places2Note is wherever you are. Places2Note needs a rating. Be the first to rate this app and get the discussion started! 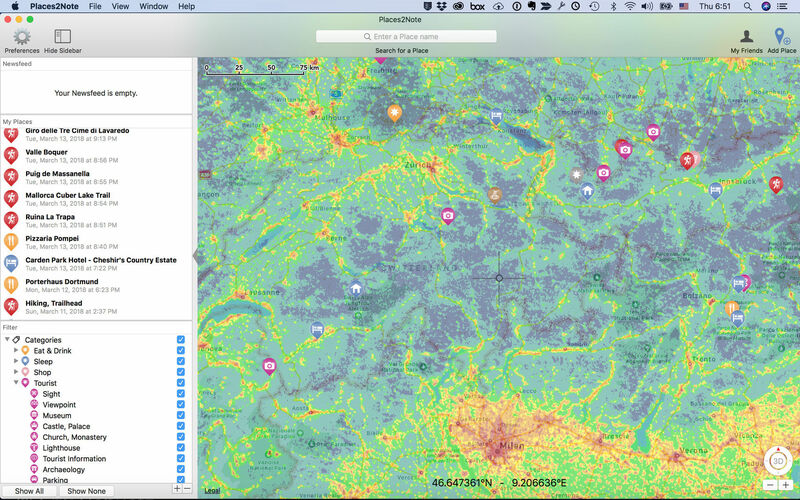 Detailed maps at your fingertips: With Places2Note you have access to more than 200 global, local, hiking, biking and thematic maps from around the globe. 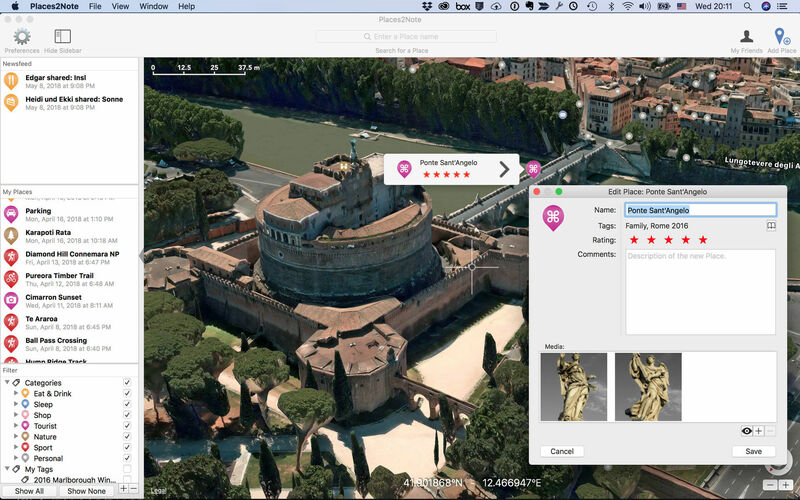 Unlike paper maps, these live maps are being continuously updated, so you will always hold the most up-to-date map in your hands. 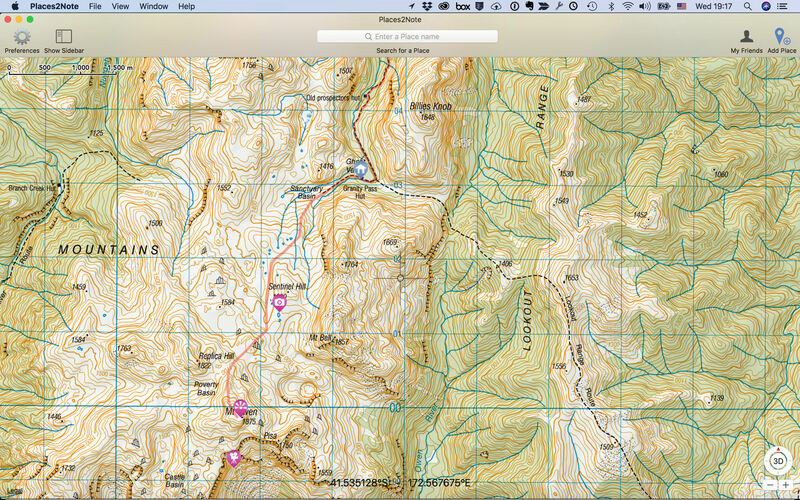 In Places2Note you can create map overlays on top of base maps from Apple or others. Most maps are also available for offline use. 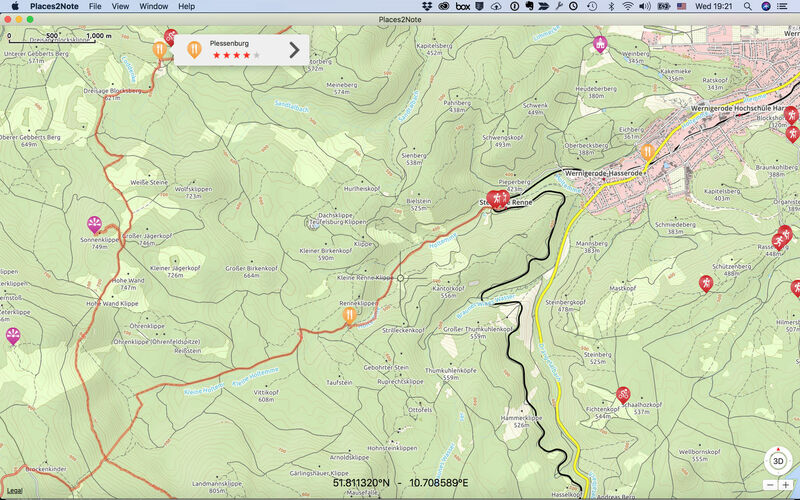 With our desktop app you can create your own personal map and print it as PDF. Share with family and friends: Share your favorite and special places, like restaurants, lodges, sights, or hiking, cycling, kayaking tracks etc. with the people who matter to you. Capture life’s special moments and share them from wherever you happen to be on Facebook*** or directly with your friends and family.